This month we’ll do a demonstration of the Rapid Fire Hunter’s Star ruler. This is one in a collection of tools created by Deb Tucker of Studio 180 Design that we’re now carrying. 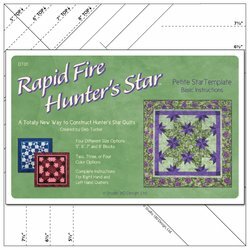 The Rapid Fire Hunter’s Star tool and technique allow for streamlined construction and precision trim down. 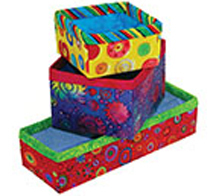 This results in greater accuracy and makes these traditionally challenging blocks much easier. Join us at either 12:30 p.m. or 5:15 p.m. for this informative demo. Bring a friend! Bring your machine, a project to work on, and dinner to enjoy an evening of sewing with friends. Beverages provided. This event is free but space is limited, so call us at 970-565-7541 today to reserve your seat. NOTE: This event is full but please call to be added to the waiting list in case we have cancellations. Row by Row is a shop hop type event with no fees, no passports and all summer to play. Simply visit any of the participating shops and receive a free pattern – and a kit if you’d like – for a row in a quilt (our row is shown here). Combine your rows in any way to create a unique quilt that represents the fun you had traveling throughout the summer. Travel with friends, discover new quilt shops, and have fun collecting rows. Create a quilt using at least eight different rows and be the first to bring it into a participating shop to win a stack of 25 fat quarters (6-1/4 yards of fabric!). You can also collect fabric license plates from each shop you visit like the one shown here that was designed exclusively for Cortez Quilt Company. Click here for more information about Row by Row and plan your summer travels accordingly! If you've been longing for a BERNINA we have two very gently used machines available. One is a 560 with an embroidery unit. It's less than a year old and has a very low stitch count. This is a great deal and the machine comes bundled with accessories (walking foot, 1/4 inch foot, etc.) worth more than $400. 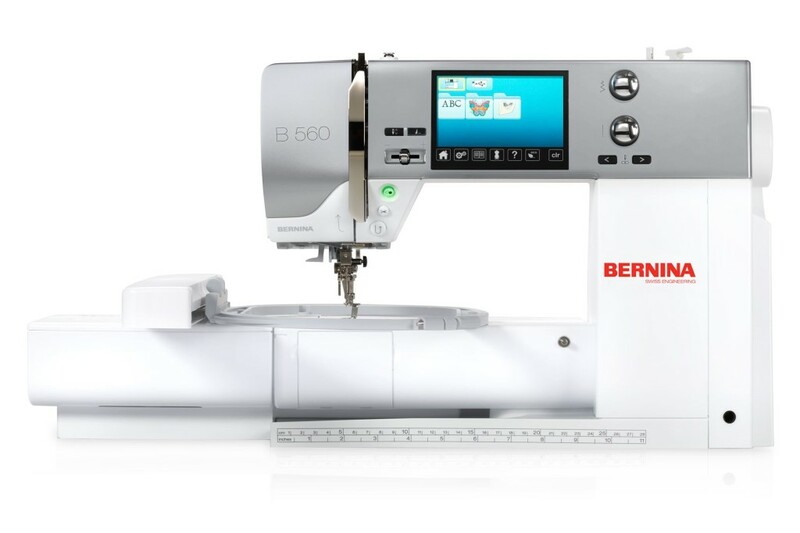 The other BERNINA available is an Artista 730, also with the embroidery unit. This machine is about five years old but was barely used at all. It's truly "like new" and comes bundled with more than $600 worth of great accessories. And, yes, you can apply for 0% financing on these fine sewing machines. Come in today! 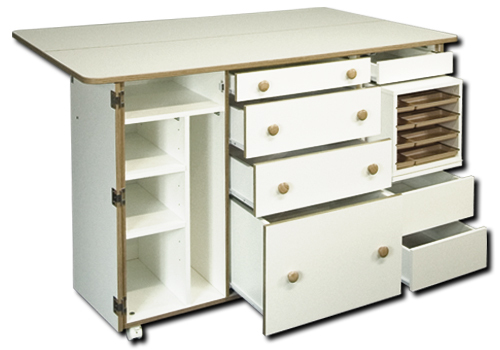 We're now an authorized dealer for Horn of America sewing room furniture. The good news about Horn is that they ship directly to your home. That said, when we placed our initial floor model order we had a minimum so added this great cutting table and storage center to our inventory. It can be yours for only $1,599 if you pick it up at the store. Regular price is $1,899 so that's a $300 savings. Call or come by today to take advantage of this special offer! 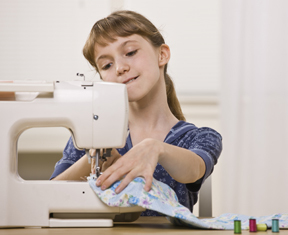 Keep children aged 8 - 15 engaged over the summer by enrolling them in our new series of youth sewing classes. Get the details here and call soon to reserve seats. The deadline to register and pay is Saturday, June 20. Each class is limited to eight students. Aimee King is in charge of our youth program, and you can call her at 970-565-7541 with questions. 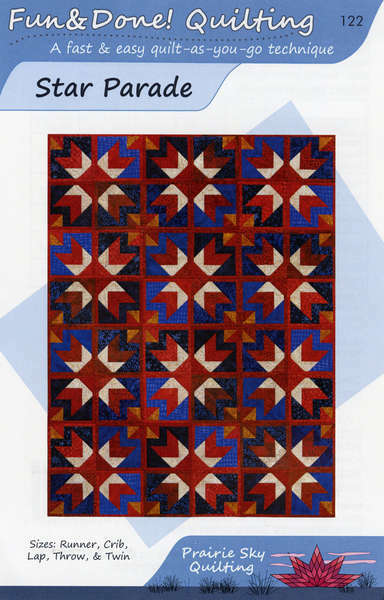 We've received Fun & Done Quilt-As-You-Go patterns. Many of us make small quilt-as-you-go projects such as placemats and tablerunners. 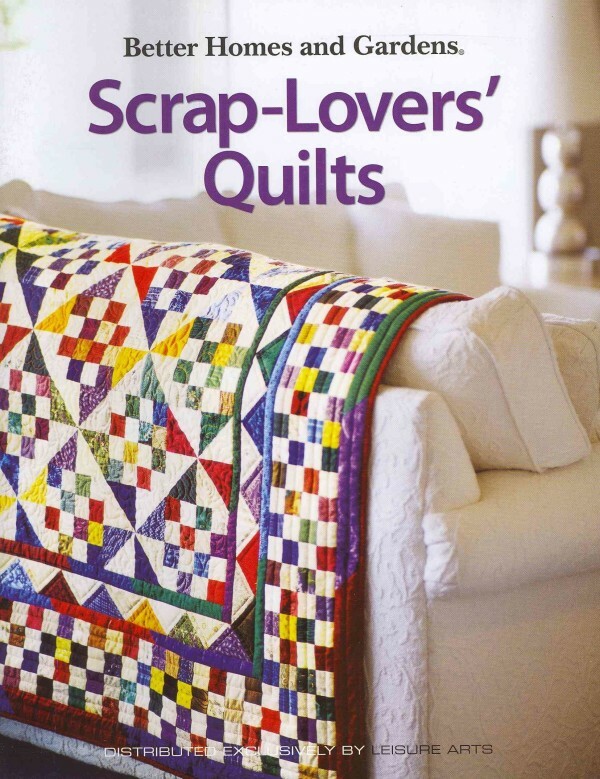 Now you can make full-sized quilts using these beautiful new patterns. For those of you who were intrigued by the Olfa Chenille Cutters, we have have those in stock now. Bloc-Loc rulers are on order and should arrive this week. And we're still ordering . . . stay tuned. Have you ever been completely perplexed by a pattern? We sure have. Here's what to do when you run into this problem. - Read the entire pattern from beginning to end. - Read each section aloud as you work. - If something just doesn't make sense it could be an error in the pattern. Go to the designer's website and look for a link to "corrections." - Have a friend read the pattern. She might pick up on something you're missing. - If the issue is that you've chosen a pattern a bit beyond your current skill level, make a sample block using scraps before cutting into the fabric you've chosen. Don't let a pattern get the best of you. Persevere until you figure it out!